Make your online reservation, travel by bus has never been so easy! Discover bus stops of the national line Firmo–Lamezia Terme Airport. Compare prices, timetables and plan your trip in online ticketing system LinkAvel. Summer in Calabria, go for it! 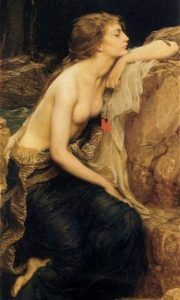 In mythology, Lamia was a girl from Libya. Zeus loved her and joined her bed. When she gave birth to a child, Hera (Juno) the jealous wife of Zeus, killed the baby. Lamia hided in a lonely cave and despair became a monster jealous of happy mothers, which children she kidnapped and devoured. 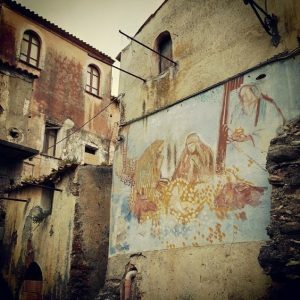 The myth of Lamia in the history of the ancient Calabria has become a legend. In the St. Eufemia plain lived a hellish god, covered with a wolf’s skin, which, like Pluto, appeared on earth to kidnap young girls and send them to Tartarus. His fury was appeased with annual offerings of human victims. This infernal god was called LAMO and was the demon of the swamps, malaria and death. Lamo would derive from Lametos (Lamato). From Lameto came out the word Lametia. Perhaps one of the best approaches to the city is the culinary experience: browsing among the various shops in the country, it is possible to find great local Calabrian food at a good price. You can taste the typical local mulingiani chjni (stuffed eggplant), patati and pipi (fried potatoes and peppers), cod with black olives, grispelle (potatos and flour pancakes), the gardener homemade. Recommended are meats and sausages in general, with a particular eye to the soppressata (Calabrian spicy salami), often handmade. Good quality also for the of dairy products: typical local butirro (stuffed with butter provolone). Of note, finally, to confectionery production. Typical in the area is cuzzupe, sweet egg of the Easter period, and the turdiddi. The airport of Lamezia Terme Sant’Eufemia is call the “Low Cost Airport of Calabria”. The airport of Santa Eufemia Lamezia conveys all users of the the city, of Cosenza, of Reggino and even of the Messina area. The bus connections reach Lamezia Airport by many Calabrian town. Here the low cost airlines operating national and international flights.